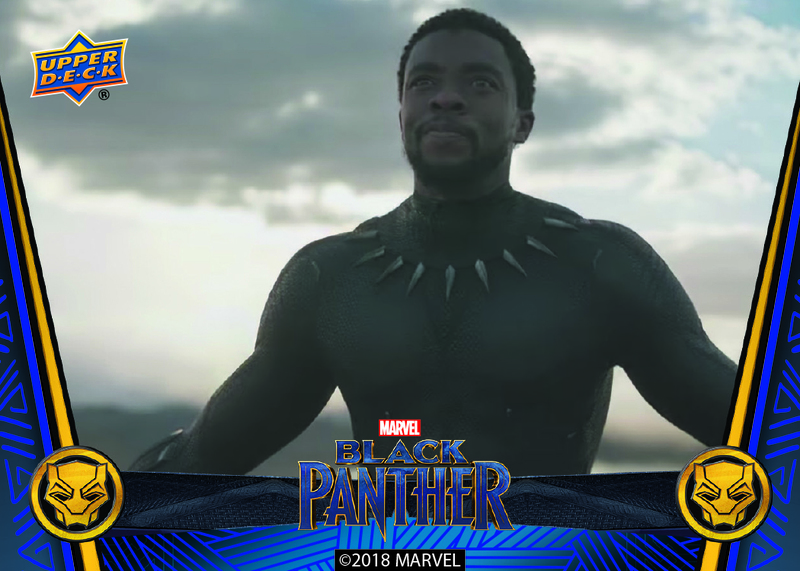 Marvel Studios’ “Black Panther” is an amazing look at the science and progress of the Kingdom of Wakanda. The wonders of vibranium are dangerous, but miraculous and makes for an incredible cautionary tale. 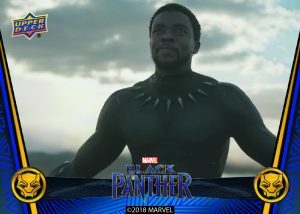 Black Panther originally appeared in the critically acclaimed Marvel Studios’ “Captain America: Civil War” in 2016, and appeared again in Marvel Studios’ “Avengers: Infinity War” when it debuted on April 27th. 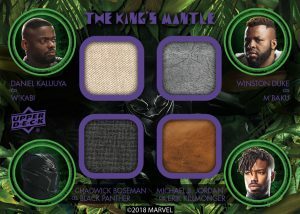 This coming May, Upper Deck will release our Black Panther trading card set based on the Marvel Studios film of the same name. The release features a 90 card base set that highlights key characters and plot points from the film. The set will also include three parallel sets with different colors of foil; silver, black (#’d to 149), and indigo (#’d to 50). However, the indigo foil Parallel cards have a special, debut Photochromic technology that causes the ink to change color when exposed to Ultra-Violet Light! 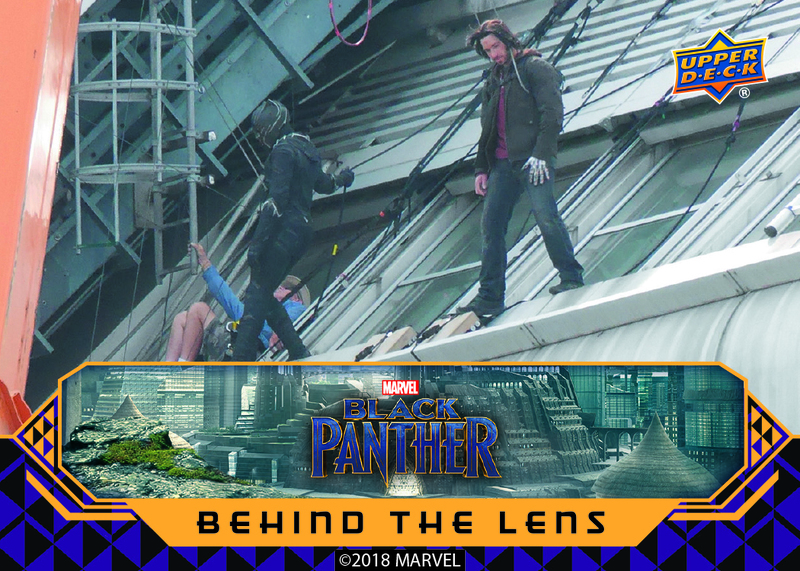 You’ll also be able to find five different insert sets, including a look at the actors and director with a new Behind the Lens set. Language of the People is a 9-card insert set that showcases character quotes on the front. 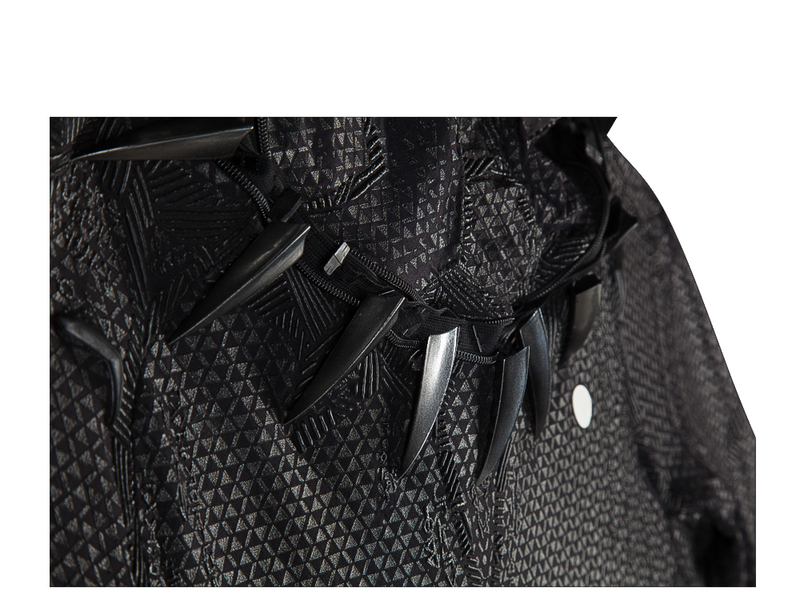 The back features the same quote written in Wakandan. 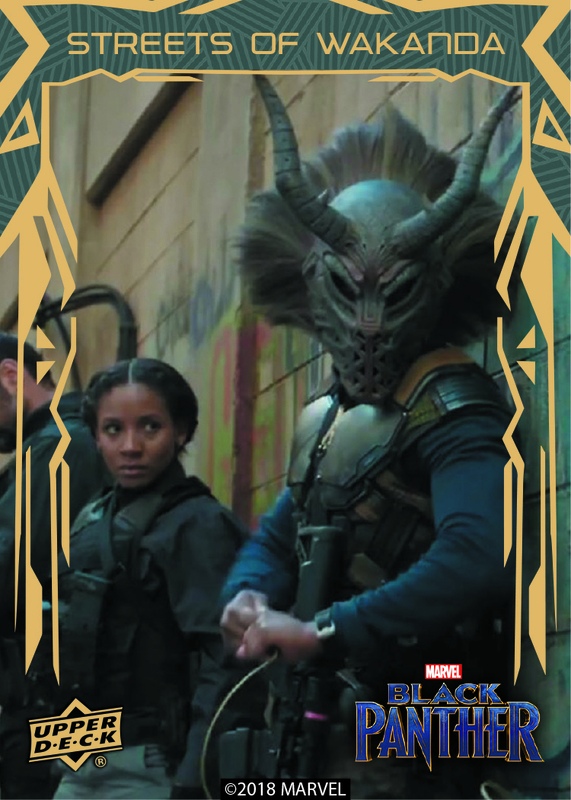 What Wakanda is most famous for, though, is their science which you will see in the Wakandan Tech insert set, featuring some of Shuri’s devices and science! 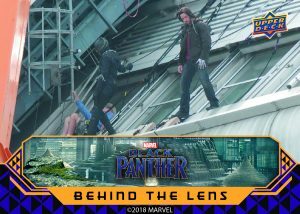 With this film, we had an amazing opportunity to focus on all the beautiful memorabilia in a unique way. 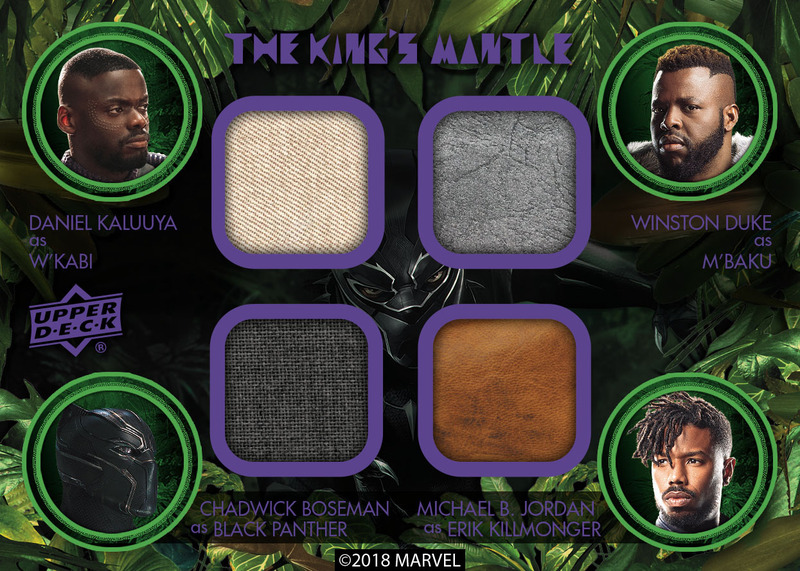 You’ll be able to find single, dual, triple, and quad Memorabilia of material actually used on the production of the film as part of the King’s Mantle inserts in packs of the Black Panther trading card set. But there’s more. 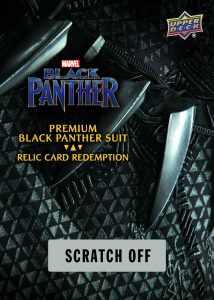 Marvel Studios’ Black Panther cards will feature redemptions for cards that contain either decoration or garnishments from the Black Panther suit. 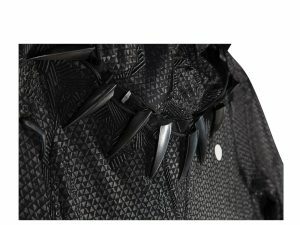 Upper Deck is thrilled that for the first time in our partnership with Marvel Studios, we were able to get our hands on the full Black Panther suit! Pieces of the full suit will be embedded into normal and oversized cards printed on thick cardstock. 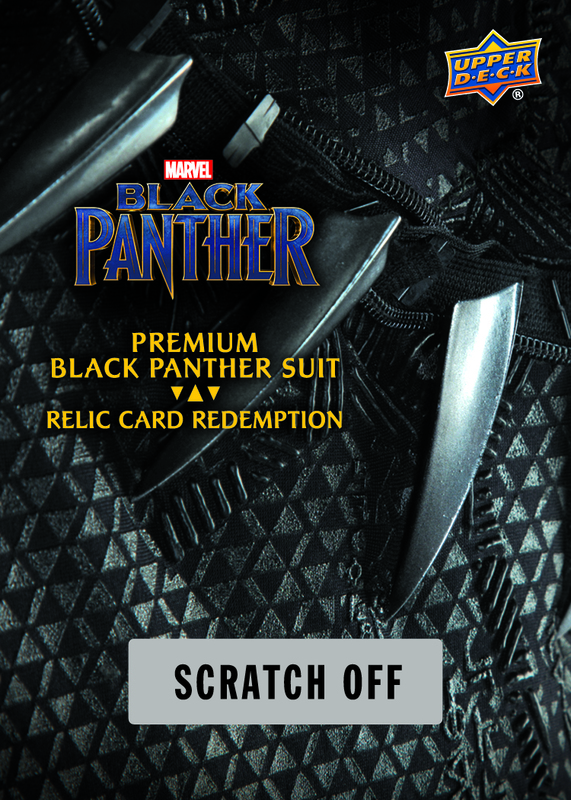 Each of these cards will spotlight various parts of the suit, such as a claw, necklace, as well as various pieces of Black Panther armor. 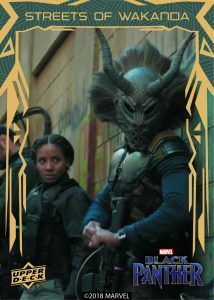 Boxes of Marvel Studios’ “Black Panther” trading cards will hit the shelves of your local hobby shop in May.